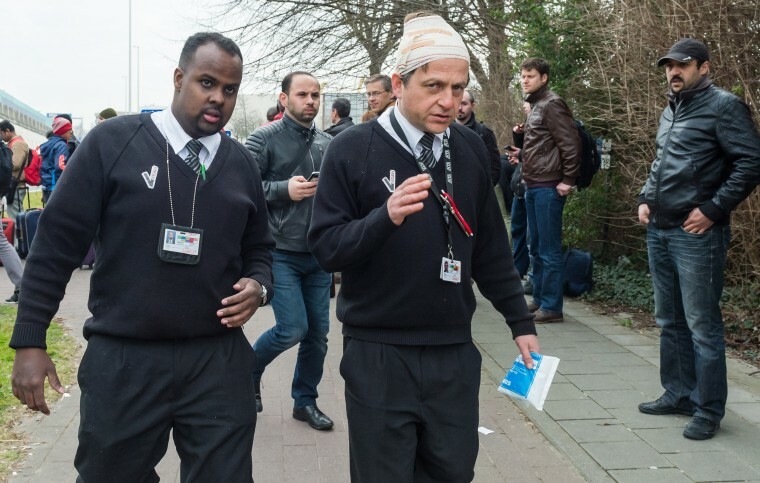 Attackers detonated bombs at the airport and on a metro train in Brussels. 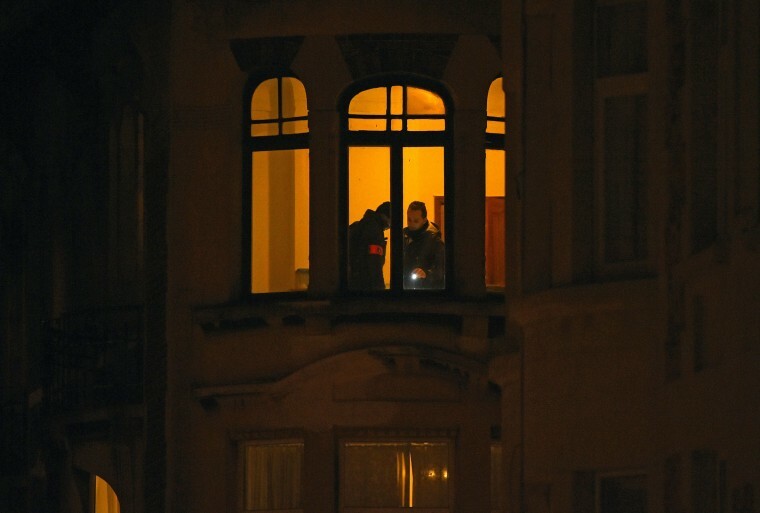 Police officers carry out searches in a building in the Schaerbeek district on March 22 following triple bomb attacks in Brussels. Investigators carrying out raids after Tuesday's terrorist attacks in Brussels believe they've found a bomb-making factory complete with chemicals used in explosives, nails and bolts. 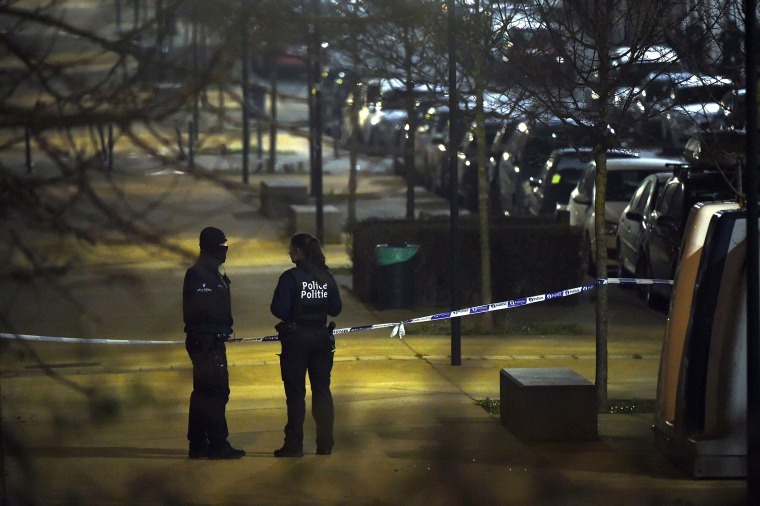 Police officers block a street as police make searches in the Schaerbeek district on March 22 following triple bomb attacks in Brussels. 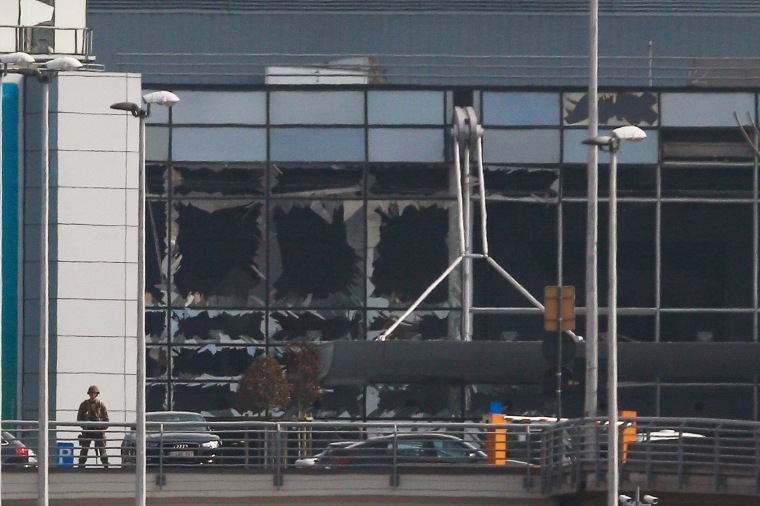 Explosions destroyed windows at the Zaventem airport terminal building near Brussels. 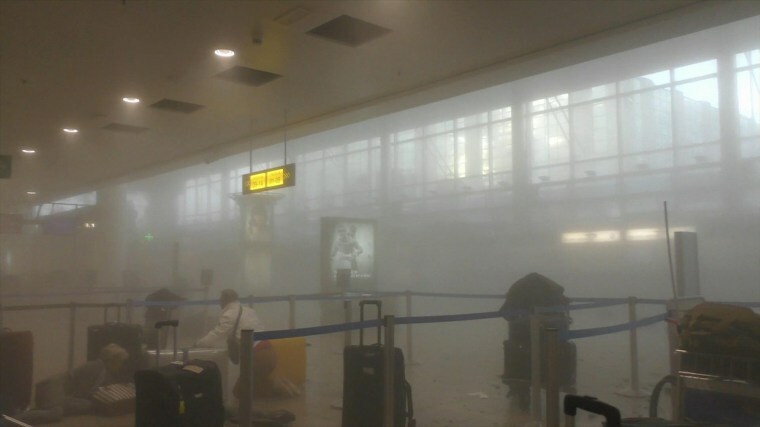 Two explosions, at least one likely caused by a suicide bomber, hit the airport’s departures area during the busy morning rush, collapsing the ceiling and sending panicked travelers rushing for cover. An unidentified traveler gets to his feet in a smoke filled terminal after explosions rocked the Zaventem airport, in Brussels on March 22. Belgium raised its terror alert to its highest level, diverting arriving planes and trains and ordering people to stay where they were. 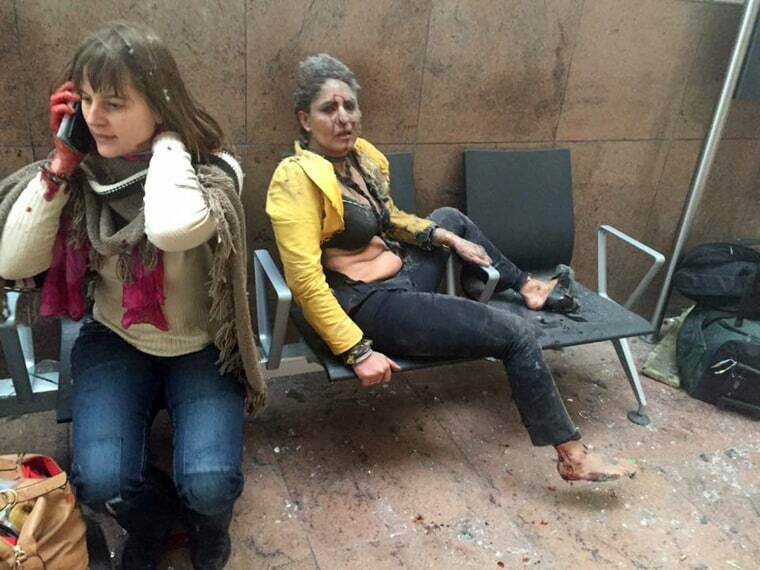 Two wounded women sit stunned in the airport near Zaventem, Belgium, March 22. 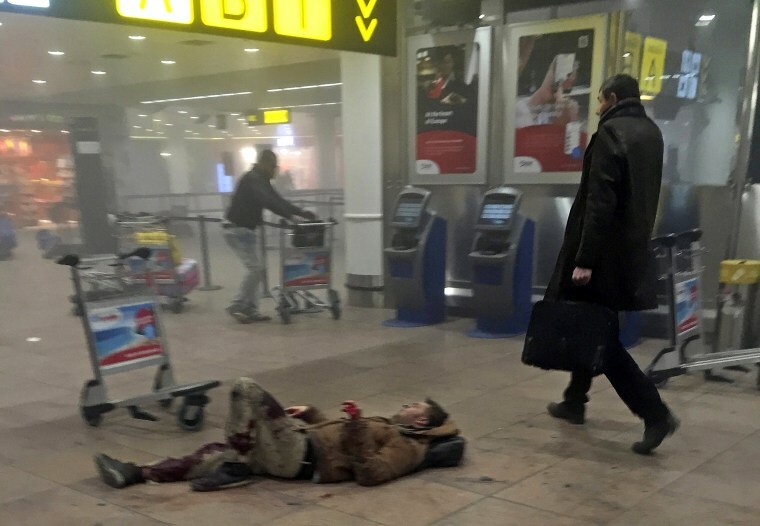 An injured man lies on the floor in the Zaventem airport in Belgium after bombs were detonated killing dozens. 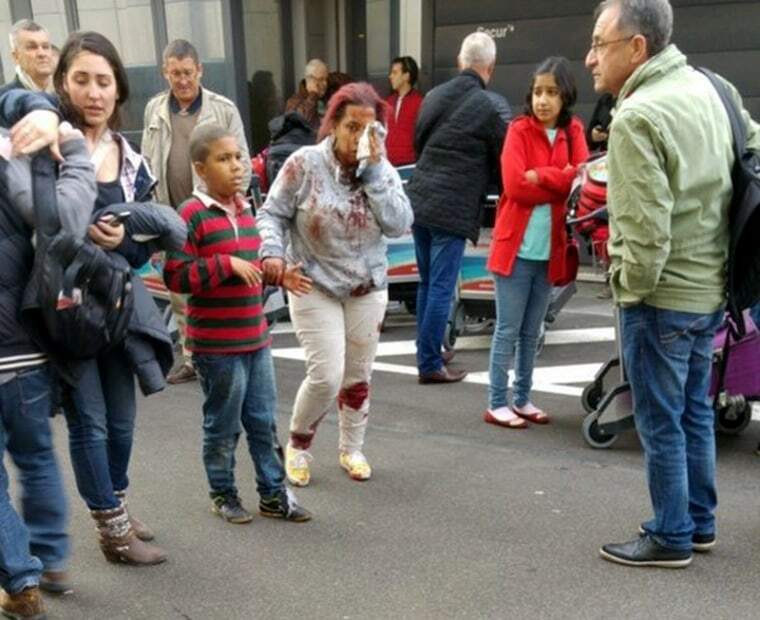 Injured people flee the scene of explosions at Zaventem airport near Brussels, March 22. Passengers and airport staff are evacuated from the terminal building after bombs rocked Brussels Airport in Zaventem, March 22. Passengers and airport staff are evacuated from the terminal building after explosions at Brussels Airport in Zaventem, Belgium, March 22. An injured man gestures outside Zaventem airport after explosions rocked the facility near Brussels, March 22. Belgium raised its terror alert to the highest level, diverting planes and trains and ordering people to stay where they were. 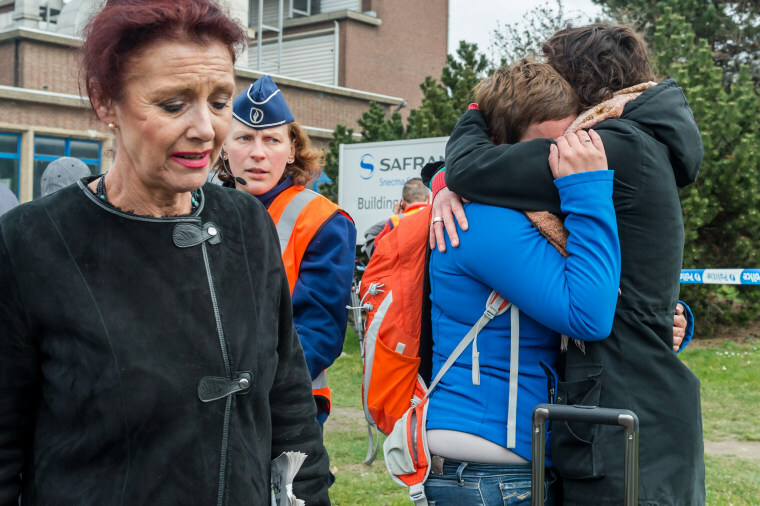 Airports across Europe immediately tightened security. 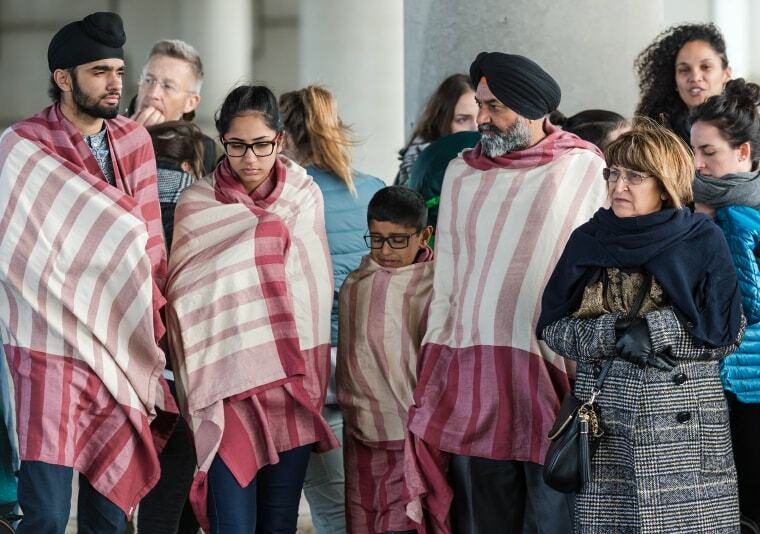 People stand near Zaventem airport after being on March 22. 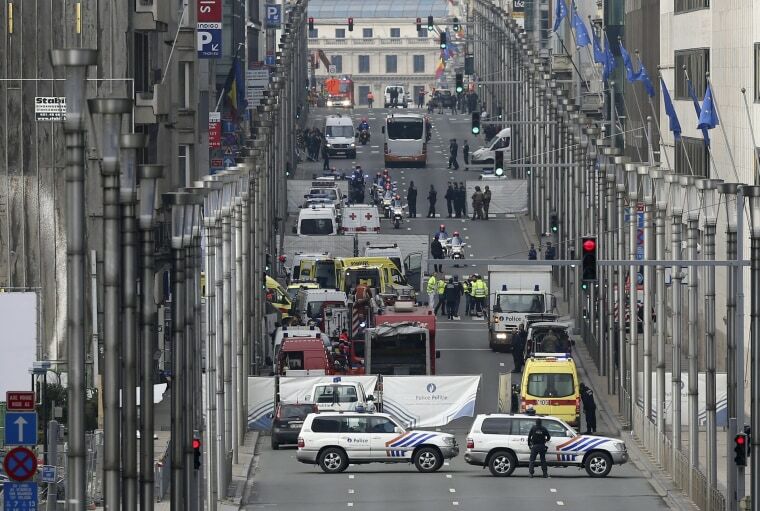 Authorities locked down the Belgian capital on Tuesday after explosions rocked the Brussels airport and subway system. 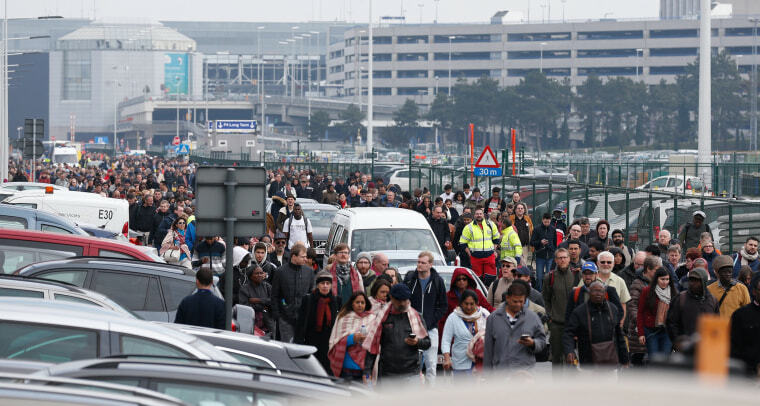 People react outside Brussels airport after fleeing the facility on March 22. Passengers leave a metro train between the Arts-Lois and Maelbeek stations after an explosion on a subway train near the headquarters of the European Union. killed 15 and injured another 55. 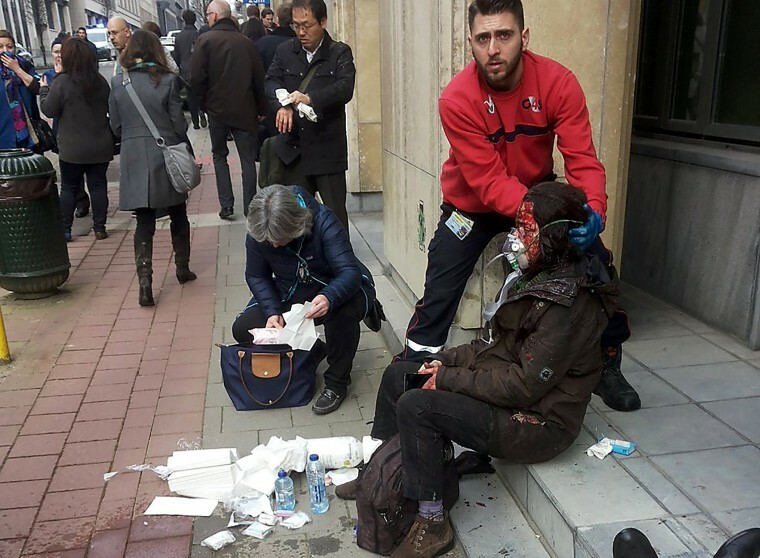 A security guard helps a wounded woman outside the Maelbeek metro station in Brussels on March 22. 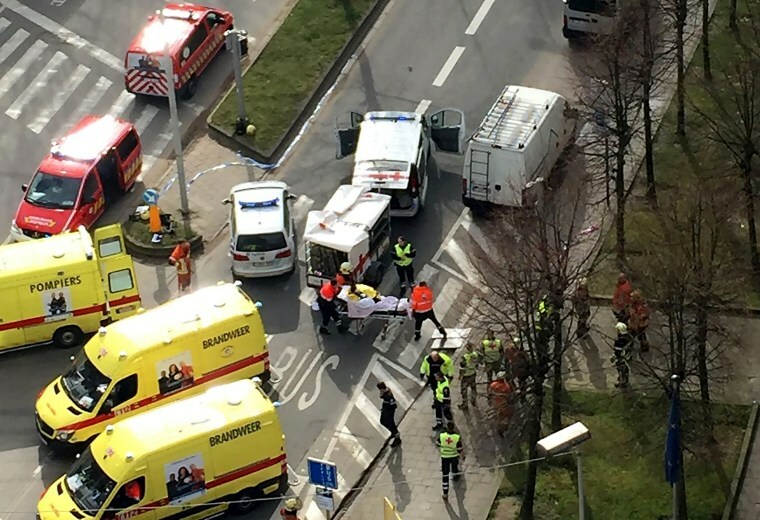 An hour after bombs were detonated in the departures area of Brussels' Zaventem airport, another 15 people were killed and 55 injured in an explosion on a subway train not far from the headquarters of the European Union. 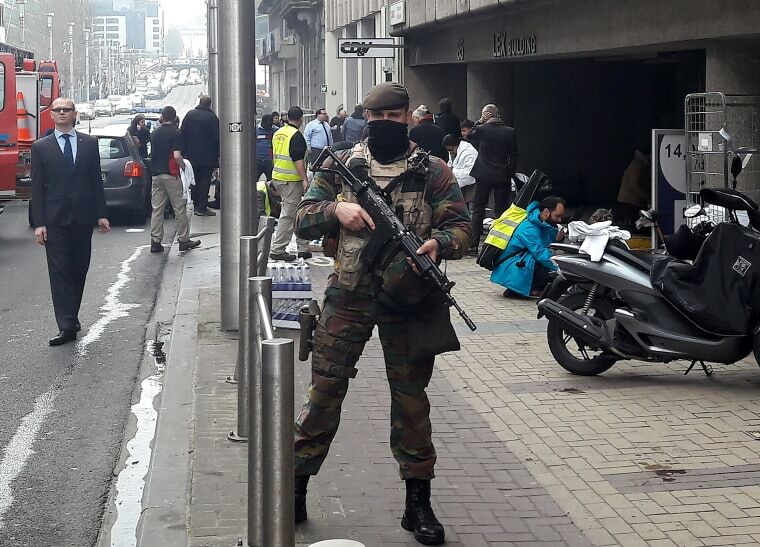 A Belgian soldier stands guard outside the Maelbeek metro station in Brussels on March 22. 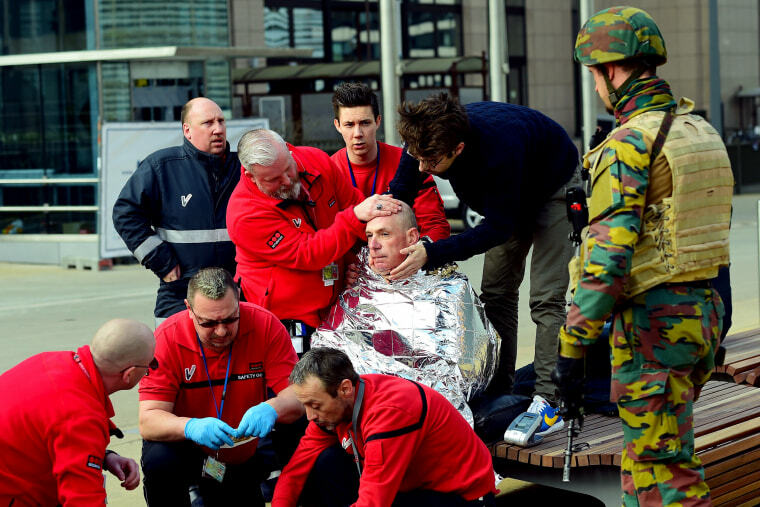 A victim receives first aid by rescuers on March 22 near Maelbeek metro station in Brussels. 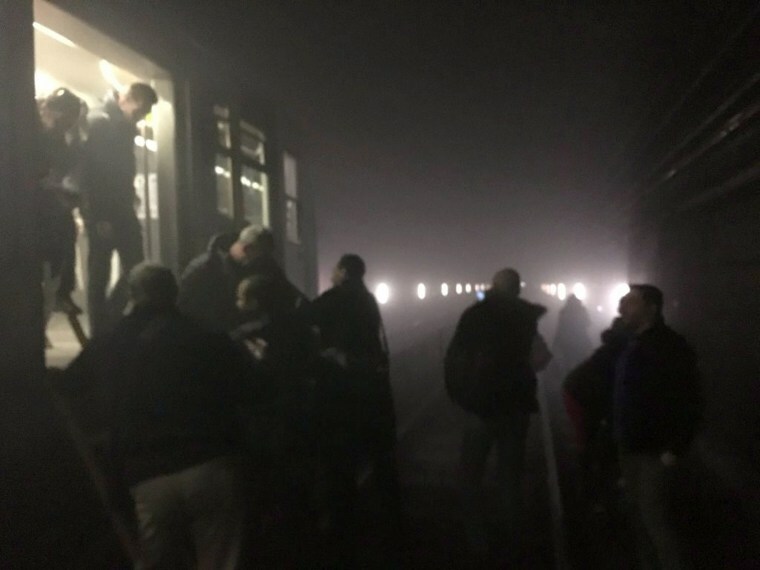 Brussels shut down all of its metro services after blasts occurred on Tuesday in Schuman and Maelbeek metro stations near European Union buildings. A woman is evacuated by emergency services after an explosion in a main metro station in Brussels on March 22. 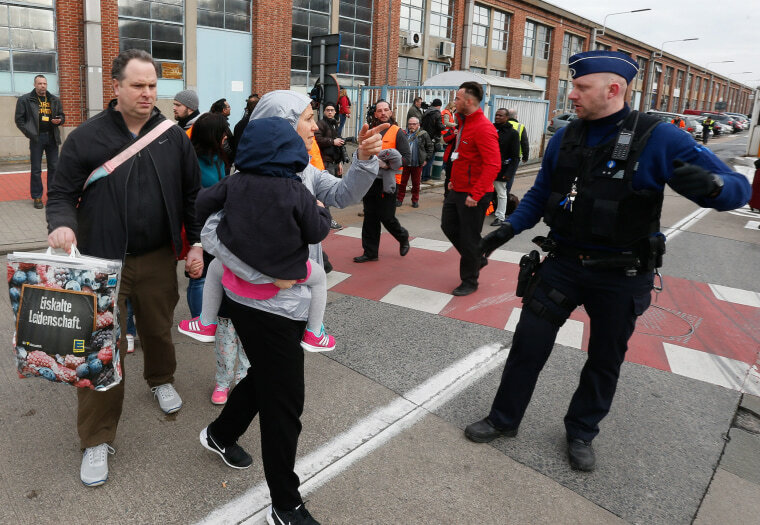 People flee the scene outside the Maelbeek Metro Station in Brussels on March 22. 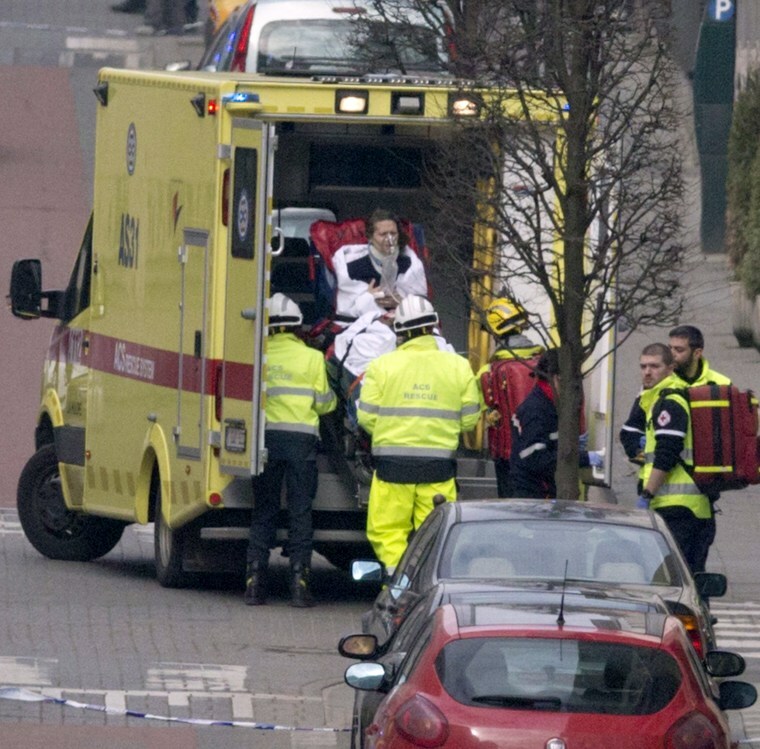 Rescue teams evacuate wounded people outside the Maelbeek metro station in Brussels on March 22. Emergency workers assemble at Rue de la Loi in Brussels after an explosion at Maelbeek Metro station, March 22. 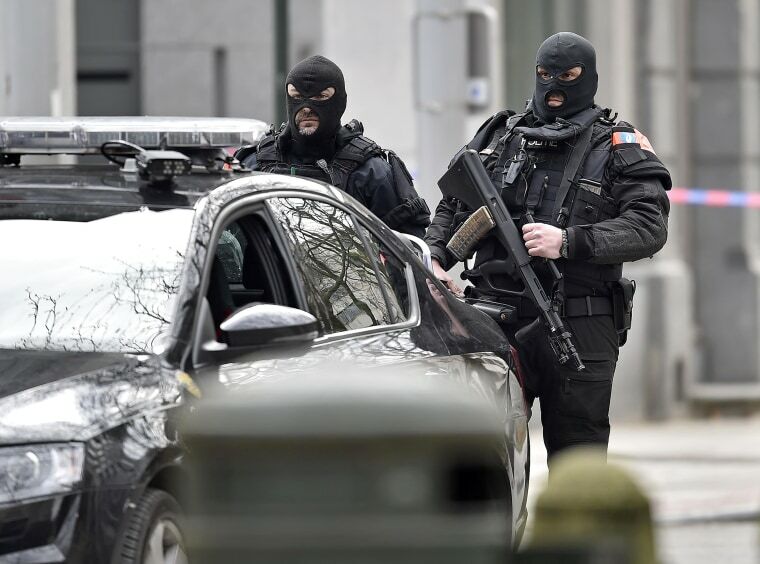 Special police secure the city center in Brussels, March 22. 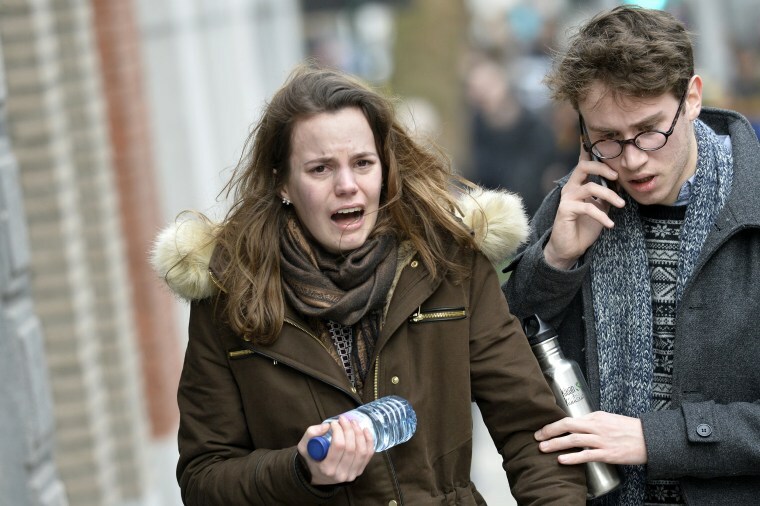 Authorities locked down the Belgian capital on Tuesday after explosions rocked the Brussels airport and subway system, killing dozens and injuring many more.